Ambilight for video tag—prepare to cry. [tweetmeme]If Sublime Video resulted in a mess in your pants, make sure you take em off before you see for this one. Ambilight for video tag. 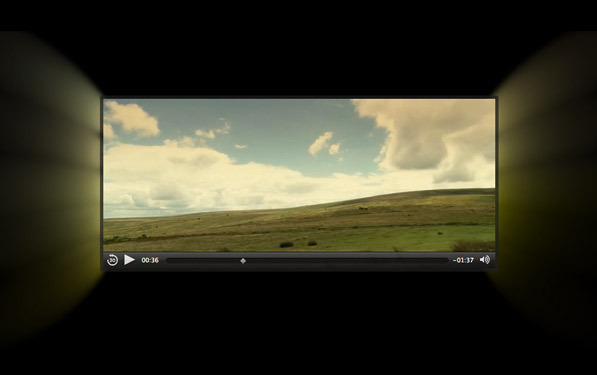 At first it looks like an average video player, the kind that loads standard HTML5 video. As the video plays, you very quickly notice what’s happening at the edges. The plugin automatically grabs the average colour in each area, and spreads it across the bounds of the video. This is not a new concept, as there have been hardware ambilights as well as Flash® versions of the same. What makes this one special, is that it’s written entirely using HTML5. Okay you may put your pants back on now. Sergei Chikuenok the developer, explains the process (in Russian), so you can follow along using Google Translate and try to make sense of it. In its current state—more to do with his implementation than the technology—the transitions are kind of jarring and distrating. But given that anyone (with the skills) could achieve such effects, the future of Ambilight for video tag looks bright indeed.